Pupils who cycled, walked or scooted into Whitchurch Primary School in Cardiff North this morning were rewarded with a free breakfast, as part of their efforts to win a national competition. Cheering on the efforts of pupils, parents and staff in the Big Pedal was local Cardiff North AM Julie Morgan. Over 50 breakfasts were served on the day – including fruit smoothies made using the school’s own bicycle smoothie maker. 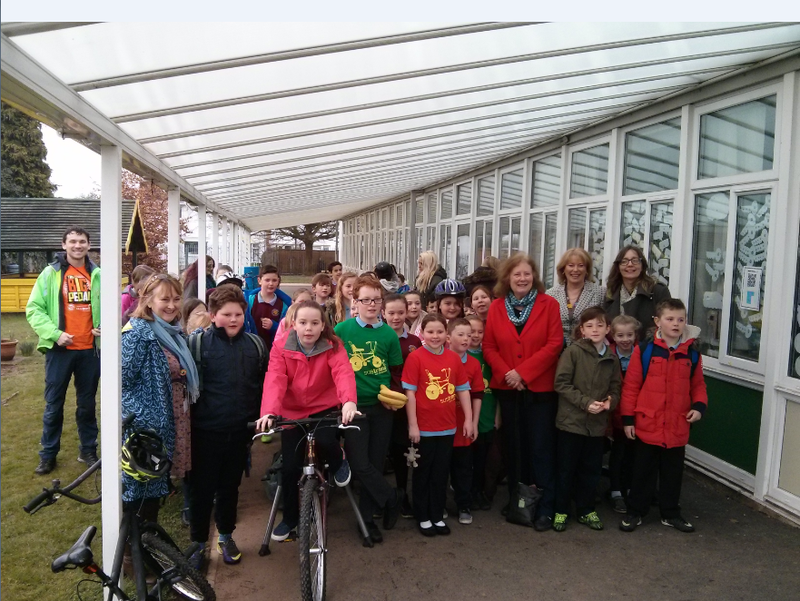 The school is encouraging its pupils to jump on their bikes and scooters for The Big Pedal, 2–20 March 2015, a UK-wide challenge organised by charity Sustrans which aims to get more children active. Hundreds of thousands of pupils are expected to take part in The Big Pedal 2015, an inter-school competition which challenges children to cycle and scoot to school and is funded by the Bicycle Association on behalf of the cycle industry through its Bike Hub scheme. Julie Morgan, Cardiff North AM, said, “It’s a real pleasure to see so many children cycling, walking and scooting into school here at Whitchurch Primary – and see all the happy, smiling faces. “The Big Pedal is fun, inclusive and it helps schools to encourage whole families to lead more active lives, as well as reducing car traffic and pollution around the school gates – as shown here by Whitchurch Primary pupils enjoying their bike breakfast.